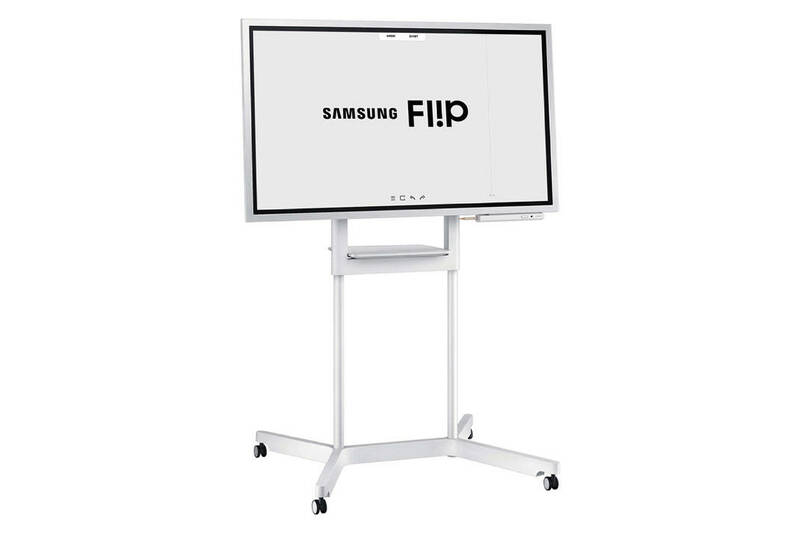 An upgrade on both standard paper flip charts and analog boards, the Samsung Flip display expands opportunities to generate and share ideas while maintaining the familiar feel of traditional writing. Unlike its predecessors, Samsung's new Flip WM55H allows easy sharing, annotation, movement and even searching, as well as the ability for multiple users to create content simultaneously. Additionally, the Flip's portable, wheel-based stand transforms any location into a huddle room, meaning added flexibility to businesses with limited conference space. "The often-flawed logistics of the modern meeting make it easy for participants to feel disengaged and for vital ideas and discoveries to become lost," says Seog-gi Kim, executive vice president of visual display business at Samsung Electronics. "Today's workers require more powerful and flexible technologies, and we truly believe that our new Samsung Flip display offers endless possibilities for driving impactful collaboration." The 55-inch Flip WM55H carries a manufacturer's list price of $2,699, and the portable wheel based stand is priced at plus $799. The device allows up to four different participants to introduce content or annotate directly on the screen at the same time using either their fingers or a dual-sided pen. Each user can customize his or her own writing style, size and color, with each notation made clear and visible by viewer-friendly UHD resolution. For added interactivity, the Samsung Flip display also offers device compatibility through both wireless connectivity and USB, PC and mobile ports. An integrated screen-sharing functionality makes Flip content available on connected PCs, smartphones and tablets and allows users to import personally-stored content onto the Flip display's screen and introduce fresh ideas to the discussion.